It is highly focussed on the elevation of industry excellence in response to an increasingly competitive global, multi-channel environment. 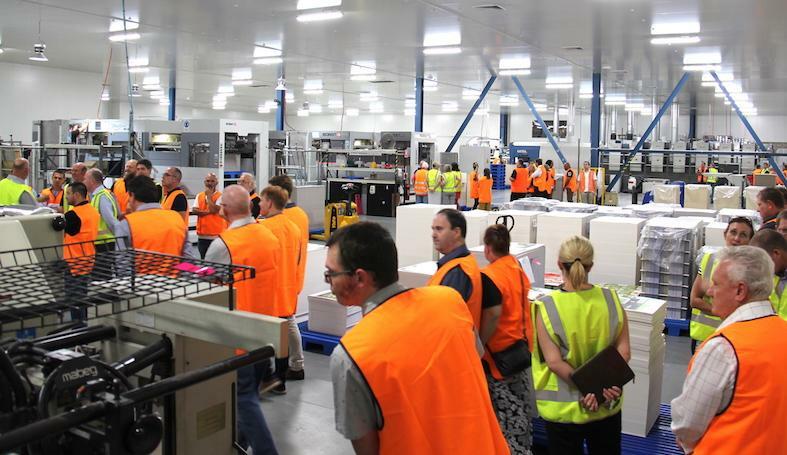 The Lithographic Institute of Australia is dedicated to the dissemination of technical information to it’s members and to the Printing and Graphic Communication Industries at large. It is highly focussed on the elevation of print quality as part of the answer to competing in an increasingly global market place. The LIA’s membership is predominately individually based and voluntary in nature, it operates in each of the mainland states. Formed in 1963, it began life in Sydney as the Australian Litho Club and was modelled on the very successful litho clubs of the USA. The Australian Litho Club flourished and divisions were formed in the other four mainland states. The first Convention of the Australian Litho Clubs was organised by the NSW division and held in Katoomba in September 1971. At that meeting, it was agreed that a similar event would be held every two years and be hosted by each state in rotation. At the 1973 Conference in Geelong, Victoria, it was announced that all states had agreed to form a federation. At this meeting it was resolved that the name of the organisation be changed to the Lithographic Institute of Australia. Over the years the LIA has played a significant role in advancing technical knowledge within the printing industry. It has led or been a party to, many Australian research and development projects, culminating in the recently highly acclaimed four year study into ‘The Influence of Water Hardness on Ink and Paper performance. Today, in association with Printing Industries, the LIA represents Australia on the technical committee covering Graphic Technology of the International Organisation for Standardisation (ISO). With the support of long term partner Heidelberg ANZ, the LIA conducts annual Graduate of the Year Awards in each State, culminating every two years at the Biennial Conference with the presentation of the $15,000.00 GAMAA – LIA National Graduate Scholarship Prize and The LIA – Printing Industries Future Leaders Award. With the rate of technology change that has swept through the industry over the last decade and the certainty that such change will continue at even a more rapid pace, the LIA is committed to stay in the forefront of the dissemination of knowledge to its members and the industry in general and to the continuation and expansion of it’s Graduate Award programs. The Lithographic Institute of Australia Limited has no political or industrial affiliations or aspirations. It is an incorporated not for profit corporation, limited by guarantee and not having share capital.